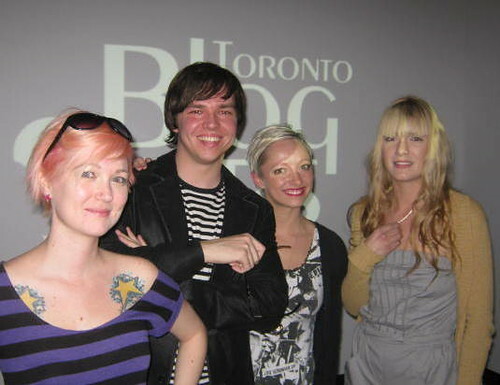 On Thursday March 18th 2010, Carly Anne Fairlie of Toronto’s foremost social media talent agency arranged to have her top three ‘blogstars’ speak to the public about their experiences and share tips and tactics for building personal brands. It was well worth the cost of admission. Twenty bucks was a bargain; listening to these people is pure inspiration. Lenzr is packed full of photo contests in the spring of 2010 and they are all quite unique. And the prizes are better than ever. In this session you can win a battery powered lawnmower, an air filtration unit, a 10×10 pop up tent and and an AT&T business phone that’s years ahead of its time. Read on for more details. Steve Hamoen is a geothermal consultant and floor heating and boilers expert that lives in Cambridge Ontario. 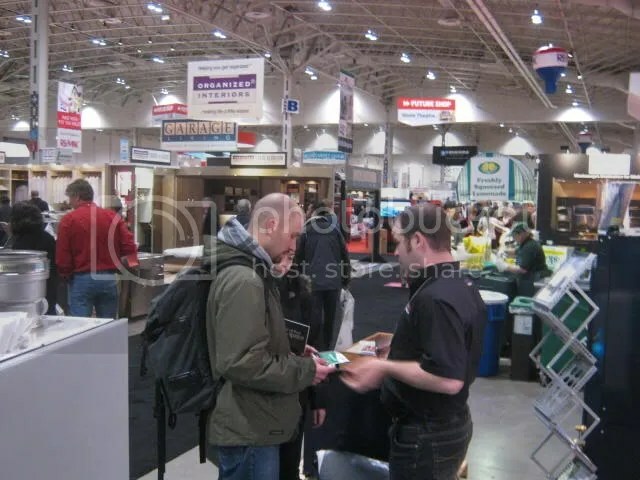 On Saturday Feb 27th 2010 I journeyed down to the National Home Show and met Steve Hamoen of ZoneLife.ca in the Better Living Centre in Toronto. We chatted for almost two hours in the Better Living Centre in Toronto at the National Home Show. I enjoyed watching him answer questions about geothermal heating and cooling systems. Steve likes to remind people that this new energy source doesn’t just come up out of the ground in easy to use levels, but rather in units that are commonly referred to as low grade energy and needs boilers to be part of a zone strategy solution to residential heating and cooling applications. 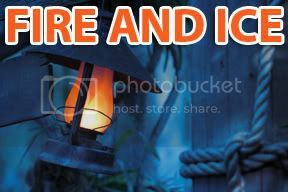 The Fire and Ice photo contest on Lenzr is probably the coolest theme, and will be no doubt be the hottest competition on the index as photographers show off their skills. 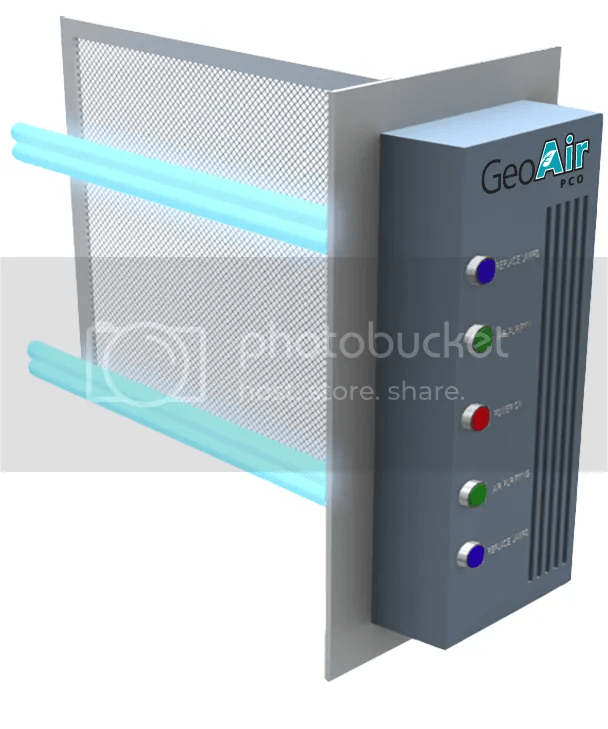 The Prize is GeoAir PCO air purifier that uses Photo Catalytic Oxidation (PCO) and is probably the most advanced air purifying technology available in the marketplace today. Unlike existing air cleaning systems that rely solely on ultraviolet light, the GeoAir PCO device integrates a titanium dioxide semiconductor to leverage photocatalytic oxidation allowing it to vaporize mold spores, bacteria, viruses in an 187 square-inch Ti02 grid. The system is cost-effective, maintenance-free and provides maximum energy efficiency with negligible resistance to airflow. Grasscutting Firm in Toronto asks How Green Are You? Could a photo contest help change the world? Its possible that for the next sixty days the Lenzr photo contest will actievly help spread the green message and remind patrons that it doesnt take much to be green. Its really just about making choices. All March and april 2010 Lenzr is wondering How Green Are You? 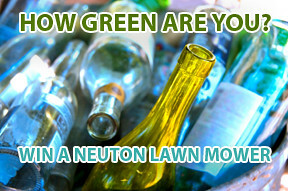 The new photo challenge hopes to collect one sentence stories and pictures of eco friendly concepts. Pictures submitted to Lenzr should be notions of green ideals that could be readily inplimented by all members of lenzr, and society. The photo contest could indeed become a repository of green inspirations. How Green Are You? photo contest is funded by a solar powered grasscutting operation in the city of Toronto Ontario that has biofuel trucks and trailers necessary to transport battery operated lawnmowers that are charged with electricity gathered by the sun. The company can therefore offer sustainable, organic lawn care service that is also a relatively silent; their Neuton battery powered lawnmowers are almost silent. THE PRIZE for being green and uploading the most popular photo is Neuton CE 6 Battery-Powered Mower with DURACELL® battery technology. The Greenest snapshot gets a lawnmower where there’s no gas or oil to spill and no engine emissions to pollute the air. The 360 watt-hours of battery provide plenty of power. The Neuton CE 6 mower can cut about 1/3 acre (approx 15,000 sq. ft.) on a single charge. If you need more time, just swap in another battery and keep on mowing! Approx retail value $489.00 + shipping. 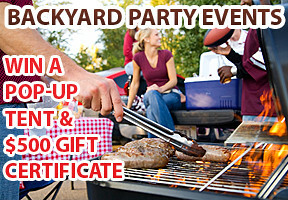 Backyard Party Events is a photo contest for the those super cool people who would rather be hosts than guests. 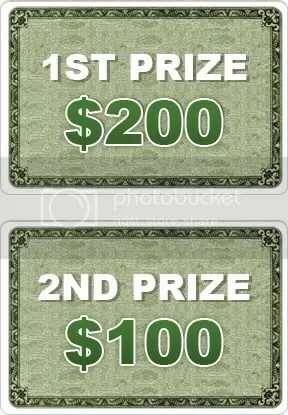 The contest sponsor is a Toronto party rentals company that wants to see pictures of people who stay home and do it themselves, renting tables, chairs, tents, stages and fences for their own parties. Let’s help immortalize the people that have rented the big stuff and made a big splash; its worth it sometimes to make a memory that will last forever. The sponsor is a Toronto tent rentals company that’s a central depository of tents and party appliances like BBQs and stereos, fences, chairs, tables, and even things you cant imagine like plastic chandeliers and that rigid AstroTurf green carpeting and heaters and buckets. You can read about this company through the eyes of an employee, Laura the Absolute Tent and Event Services Blogger who writes about life inside downtown Toronto’s busiest party supplies and rentals house. It will be interesting to read what she writes about the best photographs in the Lenzr contest, and we know she is watching because of what was written about her in the and the Toronto tent rentals on the Lenzr blog. The prize for the Lenzr member that uploads the highest ranked picture is a spiffy new 10×10 Popup Tent, and $500 Gift Certificate * for anything in Absolute Tent and Event Services catalog. Obsolete Office Equipment is a photo contest that’s centered on the workplace. The web challenge hopes to uncover out of date systems and mechanisms that are still being used in today’s offices. Show us the most obsolete objects that are still being relied upon by frontline staff. And show us the junk that’s foisted on backroom employees and the people who manage them. Show us that much hated office things that impede business. The sponsor is a business telephones consultant and designer and installation wizard. The company believes that understanding each businesses’ needs is the most important part of helping them choose the right telephone system. The closer your chosen telephone system comes to meeting your specific requirements, the greater the value it will add to your business. 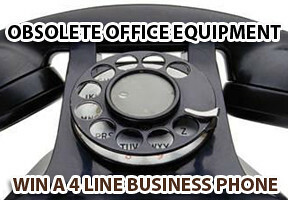 The Prize is a 4 Line office telephone AT&T Model 1070. This state-of-the-art communication device has 4 line speakerphone & answering system capability. 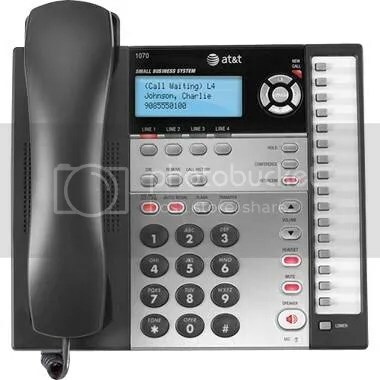 With Caller ID / Page / Intercom / Call transfer / Expandable to 16 stations / 32 # speed dial / 3 party conference / 6 number redial, it has so many wonderful functions! Readers of Ancestry Guru, and casual surfers who may happen across this fair domain, its time for an update at the end of January, 2010. 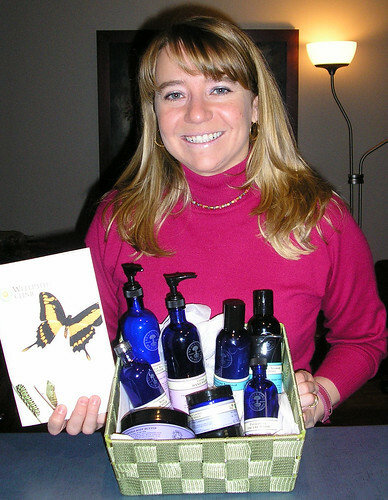 Here ‘s Isabelle Seguin, Lenzr member Seguini the photographer that uploaded the highest rated image in Medicinal Plants in Nature photo contest sponsored by Toronto, Muskoka natural medicine clinic holding a basket with eight different Neal’s Yard Remedies including Rosewater Toner, Yarrow & Comfrey Moisturizer, Orange Flower Facial Oil and Orange Flower Facial Wash, White Tea Eye Gel, Geranium & Orange Body Butter for a Total Retail Value $330.00 all of these products are available for purchase in the sponsor’s online natural medicine store. You can read more about the winners and the results of all three contests and the January 1st 2010 Lenzr photo contest winners on the Lenzr blog. The excitement is building on site again, in the form of the eighth photo contest Everyday Tangled Web which is designed to pinpoint the tangles that we create and use everyday. This challenge has become a heated competition with several excellent photos competing for top position in the index. There are wires and telephone lines and speaker cables and computer cords all mixed up under desks, and AC electrical cords spider web octopuses at outlets. This contest theme and the mayhem that has resulted from the idea was engineered by an office phone system guru living and working in Toronto. 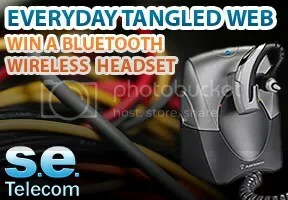 That company conceived of the idea and has donated the wonderful prize, a wireless headset. Deb Lewis has her own blog now, and her new Brian Gardiner template WordPress blog is surely the best place to glimpse Toronto’s best and most efficient and reliable events coordinator in Action. Deb is this city’s premier party planner and brand marketer. Now she call herself the chief experience officer at City Events and its true.. Behold she is a truly fascinating and beautiful creature. Also available on Lenzr this month is an exciting new photo contest on Lenzr called Kids in Action that gives shutterbugs lots of creative latitude on a wide open playing field. The prize in this challenge is a premier high quality NiteWhite teeth whitening kit that’s an advanced enamel bleaching product and usually only available at a dental office as it requires a trained dental practitioner to make the molds. Sponsored by Toronto dentist the challenge is designed to highlight the obvious connection between healthy teeth and healthy kids… I get it! 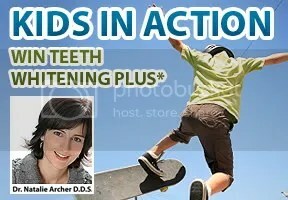 .When I look at that contest plate picture I wonder if that skateboarder is about to tumble and tear a tendon and maybe smash his front teeth or mash his molars in the concrete. But please dont misuinderstand that’s not our intention… Rather we dont necessarily want to see photos of tooth decay, dirty braces, or gum disease or baby teeth or anything like that … just kids in action. If the winner is local, that person who is super skilled with a comera will be invited to stop by the office at Bloor and Sherbourne for a chat and custom fitting for the NiteWhite whitening trays. If the winner is from out of province then admin will ship the prize PLUS extra tooth floss and toothbrushes, toothpaste, and mouthwash. WIN dental supplies for an entire year. Both Lenzr contests END March 1st 2010. 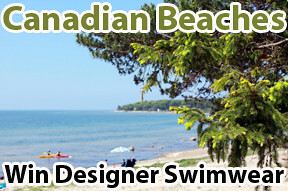 Contest open to all Canadians excluding Quebec and those 12yrs old and younger. Thanks for participating. Good luck! 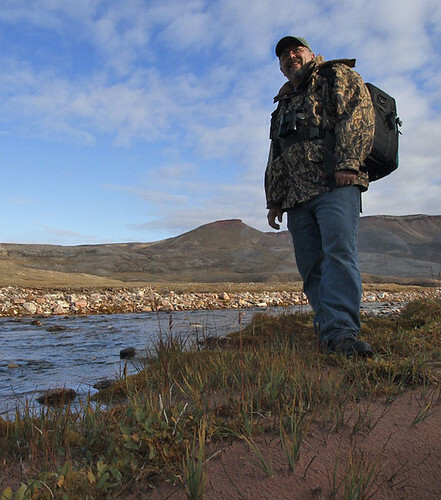 Clare Kines is a retired RCMP officer in Arctic Bay Nunavut and successful bed and breakfast business blogger – he’s the the subject of a compelling profile on CanadaBlogFriends.ca this month. Kiggavik is the name of local bird (gryfalcon) and also the name of his lodge. He’s had many famous people stay at his chalet in the north, including Dan Rather from the CBS TV series 60 Minutes. Here’s a picture of Clare leading hikers to the berry fields opposite the town of Arctic Bay which you can see along the distant shore in the background. This is a barren place but Clare’s blog about The House, kiggavik shows readers that the barren lands are not nearly as barren as we might suppose. Here’s Lisa Charleyboy laughing and making merry at her birthday dinner at Vivoli on College St in Toronto on September 9th 2009. 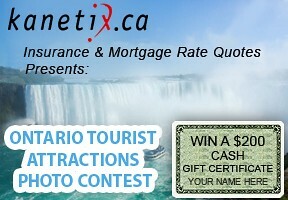 Ontario Tourist Attractions is a photo contest that’s sponsored by Kanetix.ca insurance & mortgage rate quotes and is a search for pictures that celebrate of our province’s most interesting destinations. This web challenge asks people to upload pictures of small town main streets, beaches, museums and monuments. Photo contest ends at 12:01 am on the morning of November 1st 2009. 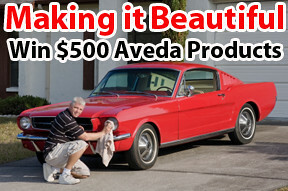 Prize is $200 for first place, followed by a $100 second prize unit AMERICAN EXPRESS gift certificates. Hold the boat on the Toronto Ferry, visit the Hockey Hall of Fame and Raptors at Air Canada Centre and get pictures. Added together with the location information, the 140 character caption on each image should somehow capture the essence of people enjoying the great outdoors in the Province of Ontario. Looking for local photographers? Check out a new photo contest website that has just appeared online in Toronto to engage shutter bugs and bloggers in unique assignments recording precious moments in their neighbourhoods. The web destination brokers one specific commodity, local pictures, and right now its just local pictures of Toronto skylines, but someday it’ll contain “local”pictures of cities all over the world – images that are local to voters in every major market. Best Toronto Skyline asks visitors to rate pics with the city on the horizon. Contest ends midnight August 31st 2009 when the winner triumphantly collects a 12-megapixel Pentax Optio P70 wide-angle 4x optical zoom lens (27.5-110mm equiv.) and 2.7 inch LCD display, the camera can also capture 720p HD video at 15 fps. Lenzr.com contests last for sixty days; there are six contest periods every year – all this is described on All Canada Contests.